Ibanez Performance acoustic guitars offer you professional features, quality, and sound at an entry-level price. 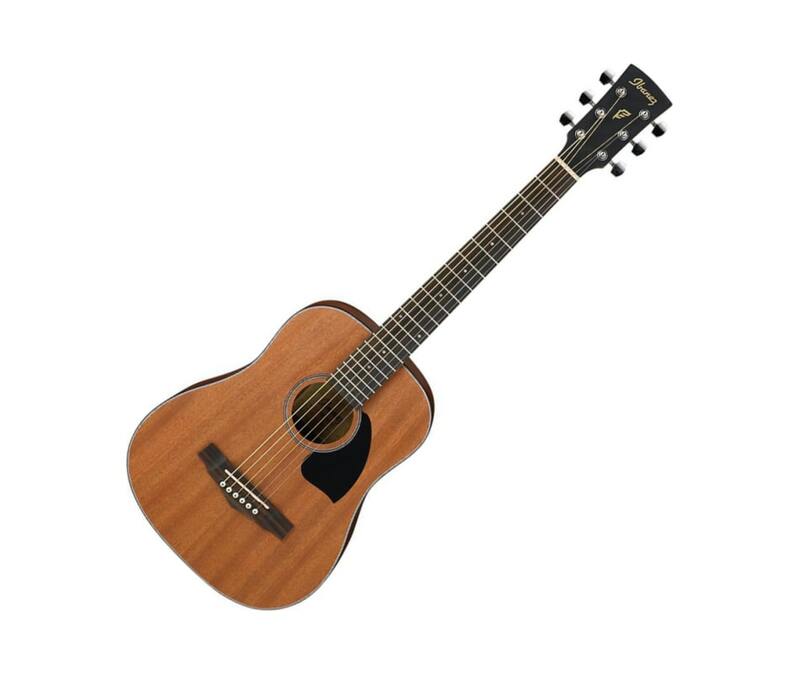 In the case of the 22.8" scale PF2MHOPN, it provides you with a 3/4 Dreadnought body with a mahogany top, back, sides, and neck with an open pore finish. Other appointments include a rosewood bridge and fingerboard, chrome tuners, a single rosette, black pickguard, and Ibanez Advantage bridge pins.